A former Nigerian bank boss being sought by the country's anti-corruption police has turned herself in. Cecilia Ibru, who the central bank sacked from her chief executive position at Oceanic Bank on 14 August, had been sought for three days. 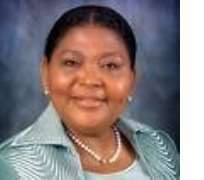 She is now due to be questioned on suspicion of fraud, insider trading and money-laundering.Ms Ibru and other bank bosses were sacked after the central bank had to come to the rescue of five lenders. The Central Bank of Nigeria has to inject a total of 400bn naira ($2.6bn; £1.6bn) into the banks - Afribank, Intercontinental Bank, Finbank, Oceanic Bank and Union Bank - after all were found to have seriously low cash reserves because of a series of bad loans. Fifteen other chief executives at the banks are already being questioned by police, following the expiry of a deadline for many of the loans in question to be repaid. "She [Ms Ibru] gave herself up this afternoon. She is being interrogated," EFCC spokesman Femi Babafemi said. Shares in the five banks, which account for 40% of the country's bank credit, have been suspended. They had run up bad loans totalling a collective 1.14 trillion naira. Nigeria is no stranger to corruption, but the latest scandal has dominated the country's media headlines.